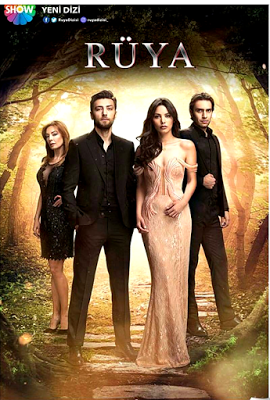 A new historical Turkish series in which we have the opportunity to see famous actors such as Nurgül Yeşilçay, Beren Saat, Metin Akdülger, Mete Horozoğlu and Farah Zeynep Abdullah. Nurgül Yeşilçay is known international audiences of the Turkish series "Paramparca ~ Storm on the Bosphorus" and "Love and punishment". Nurgul will play the main role in the second season of the series "Kösem Sultan". Beren Saat is the star of the show "Fatmagul" broadcast to us by Kanal D.
Metin Akdülger is Yaman's rival in the Turkish series "Medcezir - Yaman". Farah Zeynep Abdullah has known the international audience of Turkish series "Betrayal" where she played Aylin Akarsu, Soner's wife. Mete Horozoğlu has known the international audience of Turkish series "Betrayal" where he played Soner, Aylin Akarsu's husband. 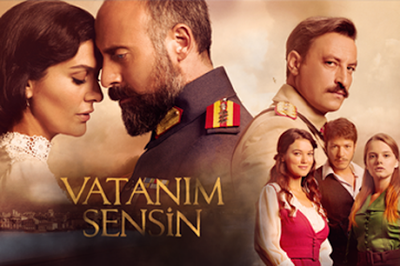 This Turkish TV series broadcasted to Kanal D. In this historical real story, we can feel the feelings of passion, love, jealousy, intrigue, power struggles and secrets that have revolved around the Ottoman Empire. While you watch each episode of Turkish series you'll have the opportunity to live some of which real characters and actors series felt, which was part of the enchanting world of the Ottoman Empire, even playing the roles of historical characters. "Kosem Sultan" is a continuation of the historical series Suleyman the Magnificent who had great success in Turkey and in all 40 countries where it was broadcast. The action takes place in Istanbul years 1595. Historical series recounts Kösem Sultan's life a girl of Greek origin named Anastasia, the daughter of a priest that due conjunctures at that time, was kidnapped as a slave, but at age 14, her fate suddenly changed. Ahmed is the son of Sultan Mehmed III, one of the two Ottomans princes who grew up with a fear of death since childhood, because he and his brother Mahmud saw the coffins of the 19 uncles when his father acceded to the throne. Unfortunately, Mahmoud was killed on the order of his father, although he promised his brother that wouldn't kill if ever he becomes Sultan. At only 13 years old Ahmet's life changes radically when his father dies, he becomes the 14th sultan of the Ottoman Empire from 1603 until his death in 1617. Ahmed deeply affected by the loss of his older brother, he smiled for the first time since Mahmoud's death, only sees the portrait of a young girl, holding a lamb in his arms. Safiye Sultan, his grandmother, decided to make him a gift, finding that girl to make her grandson happy. The portrait belonged to a girl named Anastasia who lived happily in Greece along with her parents and younger sister. Anastasia reaches the Topkapi Palace courtyard, the harem of Sultan Ahmet I, and at only 14 years old she becomes Sultan' favorite being baptized Kosem. According to Turkish tradition was converted to Islam. Both fall in love, although at the beginning Anastasia swore that she would return to her country. Life in Sultan's harem has become one of the most powerful and influential women in Ottoman history. Kosem gained the trust of Ottoman Empire with charitable donations to poor people and ruling class in the state. If you liked this presentation please share it. Presenting series Kosem - Muhteşem Yüzyıl "Kosem Sultan" is a continuation of the historical series Suleyman the Magnificent who had great success in Turkey and in all 40 countries where it was broadcast. The action takes place in Istanbul years 1595.